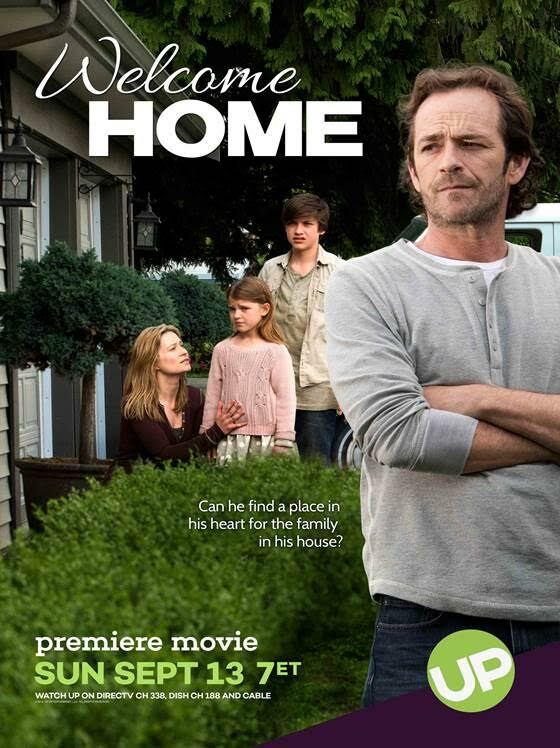 Tonight, Luke Perry starred in a powerful movie about overcoming homelessness in America. “Welcome Home” is the story about a struggling writer named Stewart Paylor (Perry) behind on his own mortgage who arrives home after a vacation to find a family squatting in his house. However, he discovers the mom Cassandra (Camille Sullivan) and her children, Jake (Will Verchere-Gopaulsingh) and Vera (Kayden Magnuson), were actually the previous owners of his home before her husband passed away and they were the victims of foreclosure. The film illustrates the possibility of what could happen if homeowners open their doors and offer to help the needy. Homelessness is a very serious issue that can happen to anyone at any time. Personally, I love how Perry’s character opens his heart to them, and gives them the opportunity to reclaim their old quality of life. BTSCelebs highly recommends everyone view this film. It is truly a gem. Well done to the entire cast and crew of “Welcome Home”! This entry was posted in Entertainment, Movies, News and tagged Camille Sullivan, Kayden Magnuson, Luke Perry, Welcome Home, Will Verchere-Gopaulsingh. Bookmark the permalink.